He needed a little push and motivation to shape up. He lost weight in just about six months, overcoming a variety of obstacles along the way. All he did was exercise, ate right, and built right muscles within few months— after not having touched weights in nearly a year. He made time in his busy life, and committed to getting fit once and for all. Bottom line: If he can do it, so can you. 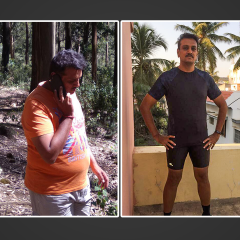 Let us find out what finally caused Aditya Vikram to say goodbye to his extra kilos for good — and what actually worked for him in his own words. I work as a manager in an IT firm in Hyderabad. Prior to moving to Hyderabad, India, I was in the US for 6 years from 2007-2013. I had a very active lifestyle in the US and had a regular exercise regime. I used to also play tennis. But, things were not the same when I returned back to India.My health and fitness took a toll due to my long working hours. 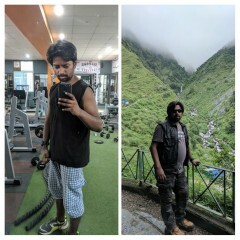 I hardly did any physical activity due to lack of time and gained a lot of weight and my lifestyle just changed in one year of coming back to India. Also, I didn’t want to take any regular gym membership or get a personal trainer because once you stop you tend to go back from where you began. I was looking for a sustainable goal and plan that would help me stay myself and yet get healthy and fit. My work also includes lot of travelling. I started researching on wearablesand that is when I came across Jawbone but it wasn’t of much help because that wouldn’t keep me motivated. Then I came across GOQii on Amazon. The idea of having a personalized coach who would follow up with you and also that you would be answerable to someone will make you more conscious about yourself appealed to me. I started slow. I started with clocking 5k steps. Then we began gym training and added Yoga as well. My meals were altered. Where I used to have large meals, I started having small and frequent meals and that made a difference. After a year with GOQii it’s been wonderful actually. I mean the amount I paid for it is pretty good. I wish the band had more features and it was more functional and most of all I think it’s a decent band and the best part undoubtedly is the coach. I had issues with the app where I couldn’t have monthly calls with the coach for almost three months. It’s not as good as you expect the first month is usually like that, you start off with full stream also you have your regular challenges etc. it’s like you can’t do it as expected etc. but because of the live feedback, you start the day thinking I am going to have so much protein, I am going to have a team outing and sometimes I miss lunch so the coach tells me that this is what you can do for dinner so that was really helpful. I stopped eating sweets. Previously, I would manifest my time in a lot of binge eating which stopped with small frequent meals and that was a new learning for me. The result of all this was that I lost 10 kilos within 6 months and also became very active. Gradually my coach increased by activity. From 5K steps I started doing a daily step count of 13k steps. 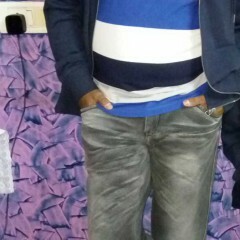 In terms of physical activity, I got a very good advice from Pawan that not to keep any favourite exercises. It was mandatory for me to clock 10000 steps every day. I do not mange that on weekends so no matter where I am and what schedule I am on weekdays, I make sure I do a mandatory 10000 steps. But, just as everything was going smoothly, a point came when in January 2016, I was posted in London for 3 months. Here I was going to have no access to gym. So my coach suggested I do walks and continue my Yoga on a daily basis and that helped me. He told me once you are back we can resume our training back. But, in 6 months of getting on GOQii, I had managed to shed 10 kilos. I was at 79 kilos. I had lost weight in a healthy manner. However, while in London, I was not able to keep in touch with my coach. I was also not cooking and calling for food from out. So ended up eating high fat foods and put on weight again. I tried to keep myself active in London. I used to walk a lot. I walked from office to home and did Yoga at home. I am back and continuing with my workout. Though, I don’t have a scheduled workout. I drink more water and I walk more at work, so I am integrating some form of physical activity in daily routine and apart from that I make sure I walk and also I do strengthening and now that it is summer I am also going swimming. 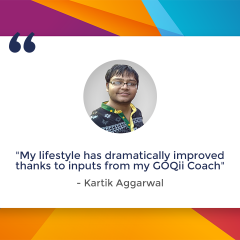 GOQii has been a fantastic motivator for me. One of the things that also attracted me towards GOQii was the price tag. Prior to GOQii I did take a look at other wearables like Fitbitt, Jawbone etc. which are water proof and all that but they rely on the fact that you will find out the motivation to work out and decipher the data on your own. People are seldom open to doing that. And for me being in the IT industry there is no time, something or the keeps coming up. With GOQii, there is someone whom you can chat with, someone who keeps a track of all your activities. You are not necessarily being answerable but, being able to share what you want to do, have done and can do is the USP of GOQii which has been the most beneficial for me.I haverenewed my membership and now training for the marathon. What does Coach Pawan Sharma have to say about player Aditya Vikram? 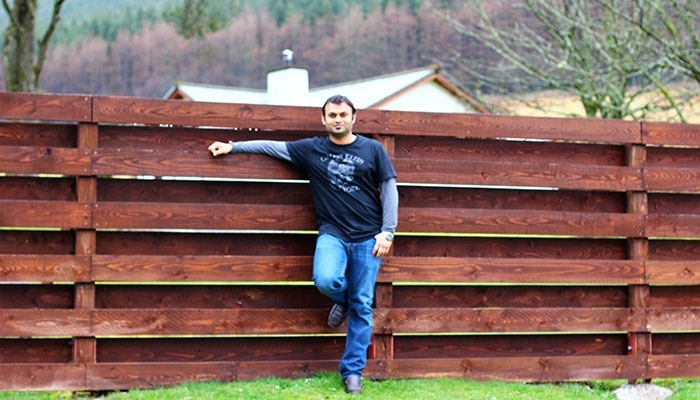 Aditya was in great physical shape a few years ago but after moving to India he couldn’t adjust his lifestyle. Thus, he ended up gaining a lot of weight, so our goal was to get him back in shape by losing those extra kilos and get him healthy and fit. One of his main goals is to run a 10k but, we had limitations to work around due to his epileptic condition. We began with monitoring his meals getting his sleep back on track, controlling stress levels and resuming his yoga. Once we started with these, we then gradually moved on to gym training, treadmill running and intense weekend workouts. We moved on from daily step target of 5k to a recent 13k a day. On the nutrition and meal front, we cut out the processed and junk foods and divided his meals into smaller portions more frequently through the day. Our biggest challenge was when he moved to UK for 3 months where he had no access to gym workouts. So, we kept his yoga and walks going and kept a check on that and resumed the intense routine on his return. He has been a pleasure to work with as he is extremely proactive on chat and calls and is regular with his meal logs and daily step targets.